It's an ongoing challenge for retail CMOs to justify to their CFOs that digital ads drive in-store sales. So one can imagine the teeth-gnashing that must take place whenever brick-and-mortar players realize the products in their digital ads were out of stock for a significant time during a campaign. Talk about a waste, and not to mention it's a bad brand experience for the consumer to run into a store for something only to find it cannot be immediately purchased. 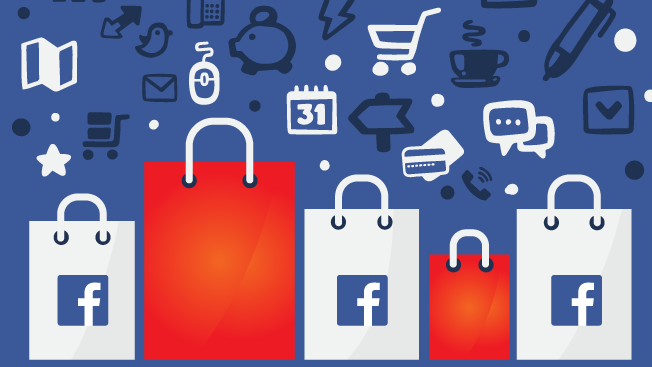 Facebook today is debuting a system called "dynamic ads for retail" that will, in theory, eliminate the above pain point. These new ads are designed to allow merchants to only serve Facebook promos of products that are actually available in a chain brand's location. They come just in time for the holidays, as brands finalize their fourth-quarter ad budgets. "We are basically plugging into the bricks-and-mortar inventory and showcasing products that are available at a location close to the person seeing the ad," said Maz Sharafi, director of monetization at Facebook. The ads, which are priced on a cost-per-thousand-impressions (CPM) rate, are currently being tested by Abercrombie & Fitch, Argos, Macy's, Target and Pottery Barn. They'll become more widely available to brands in the coming weeks. "This bridges our online and offline channels to deliver a more engaging, relevant and useful experience to shoppers," Serena Potter, group vp of digital media strategy at Macy's, said in a statement. The development is an extension of its dynamic ads product that allows retailers to target Facebook users based on shown interests. With the latest interaction, the ad units now show local availability, display product summaries, offer similar items and point to online buying options. Additionally, Facebook is unveiling ad features that are meant to better target users based on their location. Dubbed as "store visit optimization" tools, they include an estimated metric that hinges on data from people with location services enabled on their phone. For all of these measures, Sharafi said, the overarching goal is to make the social network "the best place to drive people to stores from mobile."